I ought to be able to make a speech with such a text; but it seems, as The General has said, to have taken all the breath out of me. I hardly know what to talk about. of the human family. I also hope that you will never after this deem any man or any woman too bad to be saved; but that you will believe that, with the right instrumentality, and the right measure of the Holy Spirit, the necessary degree of Divine power brought to bear upon the very lowest and the very worst, God can out of them make such trophies of grace and of Salvation as these sitting behind me. I feel quite to grudge taking up five minutes of the time to-night. I would rather have heard their testimonies, because I know that there are hundreds more quite as thrilling as those to which you have listened, and I feel that there is nothing like letting the work speak for itself. 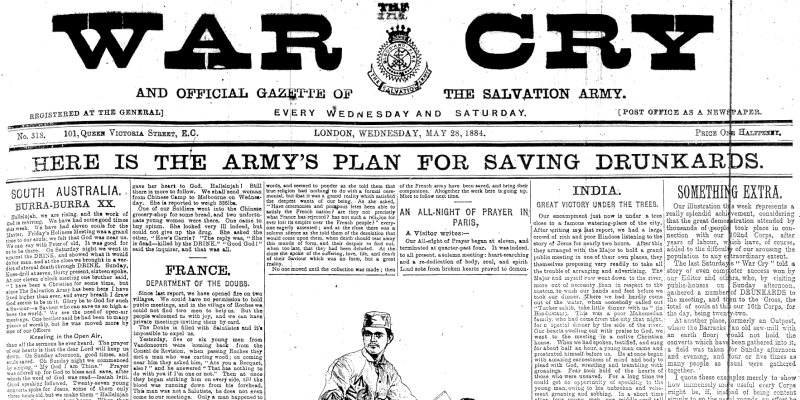 I judge movements and doctrines as I judge men—by their fruits, and while we can show such fruits as these I say The Salvation Army has nothing to fear from earth or hell. We have only to go on multiplying these results. This Dreadful Subject of DRINK. I was announced to say a word on DRINK, and I have been thinking, as I sat here, surely it does not need any more words to convince you on such a subject; surely every reasonable person, every benevolent person, must see the desirability of saving such people as these, and I should think also of saving our young men and women from becoming such. Well, I think you have heard about it to-night. I say the remedy for DRUNKENNESS is to abandon DRINK. (Volley.) There is only one remedy, and that is to let it alone altogether. (Volley.) I think that every Christian in this Hall must see that it is just as unreasonable to expect to save the masses of this country from such effects of DRINK, from such extravagance, from such immoderation (if you use the term) in DRINK—just as unreasonable to expect to save these people from the effects of drink, while the respectable, religious people of the country patronise the drink, as it would be to expect to save the inhabitants of China, the low, the weak, and ignorant, from the undue consumption of opium, while all the respectable inhabitants patronised it and used it. The remedy for China from the opium is to keep the opium away from the Chinese; and I say the remedy for English DRUNKENNESS is to keep the DRINK away from the people. (Volley.) And I do not care how many “Bitter Cries” are published, and how many committees sit over them, and how many arguments there are in the House of Commons, and how many church convocations and councils—all that you can do will fail while you patronise the DRINK. It is the “moderate use,” as you call it, of intoxicating DRINKS that prepares the young men of the country to step into the places of such as you have heard to-night. 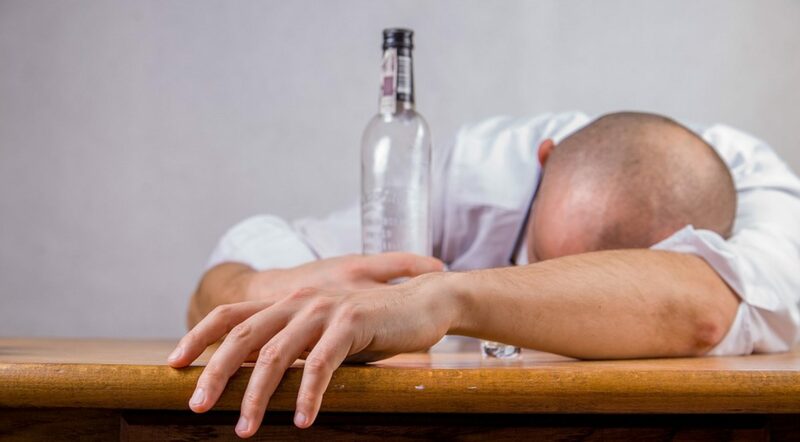 I have heard a good deal of the DRINKING classes of the country, and I dare challenge these 500, or any other 500—yea, any 5,000 or 50,000 DRUNKARDS of this country—I dare challenge them to say that any one within their ranks made up his mind to become a DRUNKARD, and deliberately sat down to make himself a DRUNKARD all at once. No, men never make up their minds to become DRUNKARDS. They never become DRUNKARDS by one, or two, or three indulgencies in strong DRINK, but they are gradually prepared to become DRUNKARDS by what you and many people call the “moderate” use of strong DRINK. 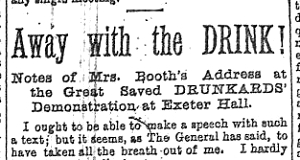 Catherine Booth, 1884, ‘Away with the DRINK!’, Notes of Mrs. Booth’s Address at the Great Saved DRUNKARDS’ Demonstration at Exeter Hall, 15 May 1884, published in The War Cry, 28 May 1884, p. 2.